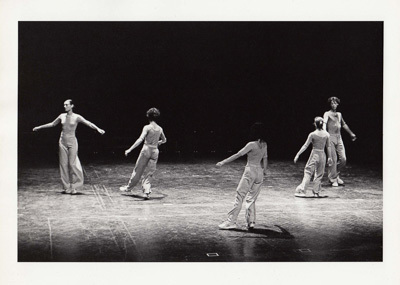 Interior Drama premiered at the Brooklyn Academy of Music in November 1977. It has been performed on numerous occasions since, both in the United States and in Europe. Interior Drama in performance, Friday, October 4, 2013, at FringeArts, Philadelphia. 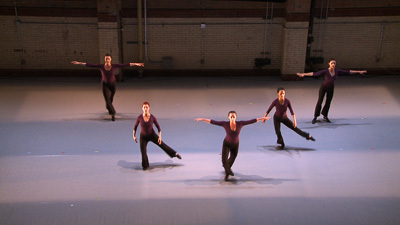 Dancers: Megan Bridge, Nora Gibson, Gabrielle Revlock, Michele Tantoco, and Annie Wilson. 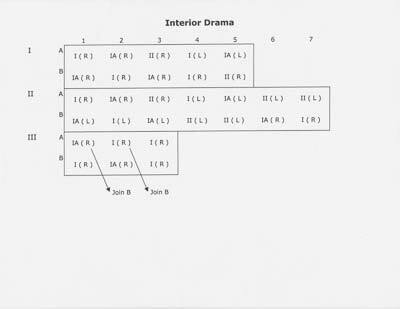 Interior Drama is subdivided into a trio and a duet, with those groupings usually determined by the height of the dancers. 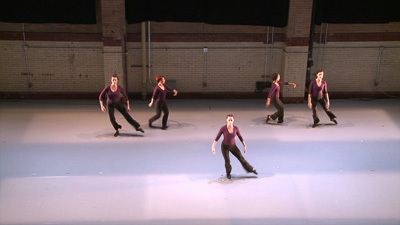 The choreography consists of three 160-count phrases, designated I, IA, and II. 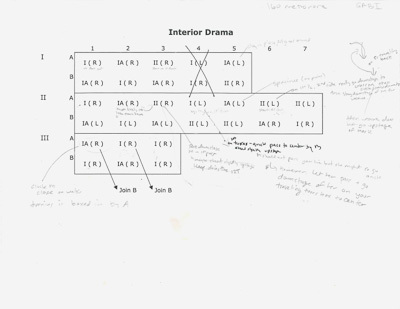 The score for Interior Drama is read from left to right, as is a music staff, though Childs used only two lines. 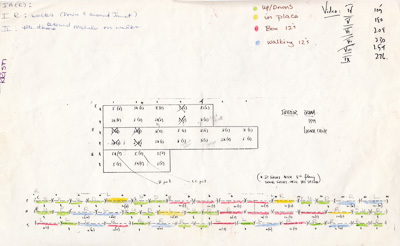 The top line delineates the sequence of phrases for the duet, the bottom line for the trio. 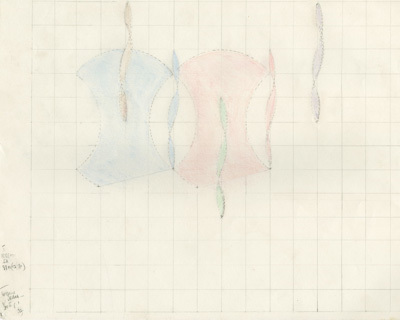 “Interior Drama is not as difficult as Melody Excerpt, as the triangular spacing of three dancers against two is less complex. 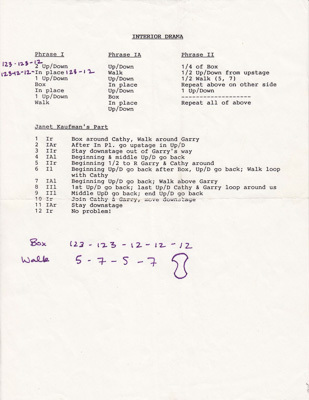 The stamina involved in repeating three very similar but different 160-count phrases, however, is the ultimate mental and physical challenge. 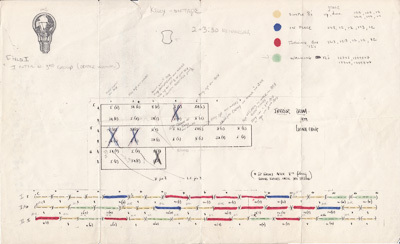 When I choreographed this work in 1977, I had already been exposed to the music of Philip Glass through Einstein on the Beach, and I had choreographed a solo for the opera to his music in act one, scene one.